Vertical Magazine and The Helicopter Page have teamed up to sponsor a helicopter video contest on Facebook. The goal of the contest is to promote the helicopter industry by sharing videos of safe, professional helicopter operations with a wide audience. 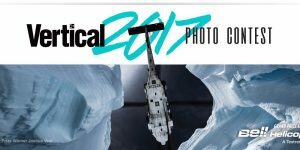 Amateur and professional videographers with a passion for helicopters can enter the contest simply by uploading their videos to either The Helicopter Page or the Vertical Magazine page on Facebook before Oct. 27, 2017. One grand-prize winner will receive a 360fly – 4K Action Camera, while five runners up will receive a one-year print subscription to Vertical Magazine, a Vertical t-shirt, and a 2018 Vertical fleet poster. Complete contest rules can be found here.